Dr. Van M. Bailey was born on July 24, 1983. He is a queer Black educator, writer, drummer, community builder, sacred space curator, panelist, and speaker. Dr. Van M. Bailey was raised in Charlotte, North Carolina, the son of LaRon Bailey, a community organizer and pastor, and Denise Bailey, a registered nurse. Dr. Bailey has three siblings: Autumn, Julian, and Gracie. He grew up in a strict apostolic Pentecostal African American and West Indian household, and when a middle school teacher outed him, Dr. Bailey says it resulted in rejection and abuse from his family. Fortunately, he says, his familial relationships have improved over time. Dr. Bailey graduated from Northwest School of the Arts in Charlotte, and enrolled at Denison University, in Granville, Ohio, where he earned a bachelor’s degree in English and Black studies. He went on to obtain a Master of Arts in higher education and student affairs (student development) from Ohio State University, and a Doctorate in Education in educational leadership from California State University (CSU) Northridge. While in college, Dr. Bailey was very involved as president of the Black Student Union, a member of Sigma Gamma Rho Sorority, Inc., and as resident assistant and Black studies research assistant. Dr. Bailey’s first job was community director at CSU Northridge, followed by two years as assistant director for education at University of California San Diego’s LGBTQ Resource Center. Currently, he is inaugural director of the University of Miami LGBTQ Student Center. He previously served as the inaugural director of Harvard College BGLTQ Student Life in Massachusetts. Dr. Bailey says that he loves working with students and producing strategic changes in higher education that center queer people of color—a community he is proud to call his own. “Everything that I am is because of my blackness, and I cannot separate [that] from my queerness. They are not only interconnected—I truly believe my blackness is queerness,” said Dr. Bailey. 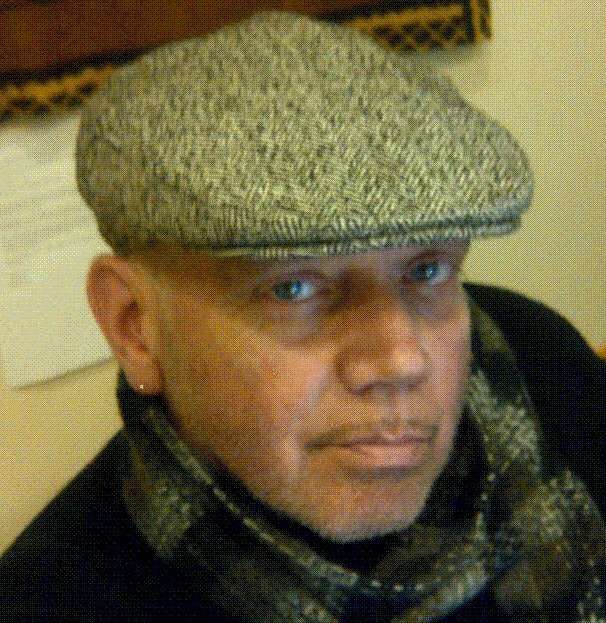 Dr. Bailey has been featured in “Buzzfeed,” NPR, the “Feminist Wire,” and the “Boston Globe.” As a member of bklyn boihood, he styled models for its annual calendar, and contributed his writing to the anthology “Outside the XY: Queer, Black and Brown Masculinity.” In 2015, Dr. Bailey co-produced VERGE, the largest queer fashion show for New York Fashion Week. In addition to being a member of the Brown Boi Project, Dr. Bailey mentors several bois of color, is a member of the Trans Advisory Council for the National Black Justice Coalition (NBJC) and Alpha Omega Fraternity, Inc., and is a past member of the board of directors for the National Center for Transgender Equality. As current co-chair of the Consortium of Higher Education LGBTQ Resource Professionals, Dr. Bailey revamped the mission, vision, and values of the organization to center gender and racial justice through a liberation lens. Honors for Dr. Bailey include the Laurel Award for Outstanding New Employee at the University of Miami, a 2017 Lambda Literary Award Finalist, LGBTQ Nation’s Top 50 Most Successful Transgender Americans, the 2015 Harvard Impact Award, and the National Black Justice Coalition’s inaugural 100 LGBTQ/SGL Emerging Leaders to Watch. Dr. Van Bailey lives in Miami, Florida, where he enjoys travel, relaxing with chosen family, playing with dogs, fashion, and napping. His partner, Shane’a Thomas, is a “remarkable” professor and therapist. For Dr. Bailey, whose favorite quote is Audre Lorde’s “We are powerful because we have survived,” life has been a series of challenges met head-on with optimism. “It’s been a journey of beautiful moments and heartbreak but love and resilience has pulled me out of some dark places,” he told the Ubuntu Biography Project. We thank Dr. Van M. Bailey for his contributions to academia and advocacy, and for his support of our community.